I publish Reunion of the Heart tomorrow! Woo hoo! I can’t tell you how excited I am. It’s taken me a while to get to this point and today I wanted to write about… well how I came to write it. When I published my first novel, The Inheritance, slightly less than a year ago, I did it as a kind of experiment. It was my second completed novel (the first will never see the light of day!!) and although I knew it was far from perfect, I wanted to have the experience of publishing a book and just see how it went. My husband encouraged me to publish it – he felt it would be a good experience for me. And it has been. Although I will say that I was disappointed by the lack of sales. However I think that one of the main reasons that The Inheritance didn’t sell that well is because it doesn’t fit easily into a genre. The best genre description for it is a family saga. I did pretty well when I put The Inheritance on free promotion a couple of months after I published it. But I was disappointed that the free downloads didn’t translate into sales. I’ve always felt with my writing that I want to write about what I want to write about, if that makes sense. I don’t want to feel confined to writing in a certain way. But if you’re writing a novel that’s going to be hard to market, you’re going to have problems, as I found with The Inheritance. 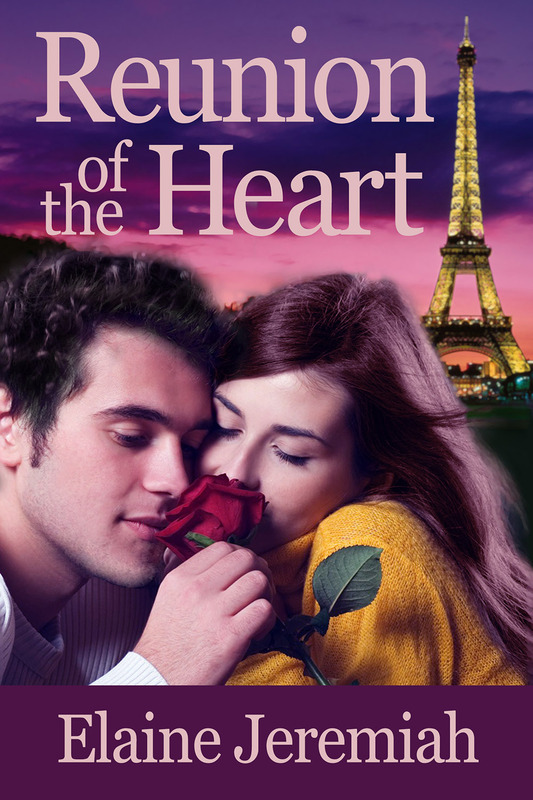 Reunion of the Heart is a contemporary romance, so it fits much more neatly into a genre than The Inheritance did. However, with Reunion of the Heart, as with The Inheritance, I was writing about what I wanted to write about. I didn’t simply choose to write a romance. With my latest as-yet-untitled work in progress, it’s been more of a conscious decision to write a romance. I am very much enjoying writing this new one though, so I’m going to stick to romance for the moment. So now while I’m writing, I do have one eye on my marketing: am I going to be able to market this book, does it fit well into a genre? OK so you might say that that attitude takes all the fun out of it. Not for me. I’m loving writing romances and it started with Reunion of the Heart. Writing it was a lot of fun, especially the editing (yes really!) and making it more romantic on the advice of my wonderful beta readers. Writing Reunion of the Heart has given me so much more confidence in myself and my writing abilities. The pre-publication response has been wonderful. I’ve had many people tell me they really want to read it. Well that is just so encouraging. I think often in life it’s easy to feel like you’re the underdog, that everyone’s doing better than you, while you struggle away and nothing comes easily. I feel it’s especially true of indie authors: we can feel as though all our fellow writers are doing so much better than us while we’re struggling with that one paragraph or chapter that we just can’t get right. With Reunion of the Heart I feel that even if it’s not as successful as I’d hoped, at least I’ve given it my all and had some great responses to it. This writing journey I’m on isn’t always an easy or happy one, but it’s certainly an exciting and rewarding one. Even though The Inheritance didn’t do as well as I’d hoped, I’ve had a number of sales and nearly 9500 free downloads. So people have read it and that’s the important thing. In publishing Reunion of the Heart I have nothing to lose. See you tomorrow for the launch! Next ›‘Reunion of the Heart’ is here!!!! I think you’re absolutely right about letting our books speak for themselves. You know as writers we can get bogged down with trying to make them as perfect as we can, but there comes a point when we have to let go. If only sales were as much fun as writing. Sadly, I’ve discovered that freebies don’t translate well into sales. Regardless of all the websites out there promising to make us best sellers overnight, it ultimately comes down to one thing – word of mouth. I’ve just given away copies of my first horror novel now that number two in the series is on the market. I’m hopeful but not holding my breath. You’re definitely right about freebies not translating into sales. My mum made a good point regarding this which was that people tend to value something more when they’ve paid for it, even if they haven’t paid very much. I’ll probably put ‘The Inheritance’ on Kindle Countdown at some point soon, see how it does. And that’s just one book..
Aw thanks very much Shan. I think you’re absolutely right about this being my road and only I can travel it! !